It was a true language-immersion course, as instructors Luanne Kowalski and Dennise Scott signed the entire course at South Coastal Library. Students laughed, but focused carefully on helping each other interpret the new signs. The visual signals and gestures help deaf and hard-of-hearing people communicate in lieu of the spoken English language. 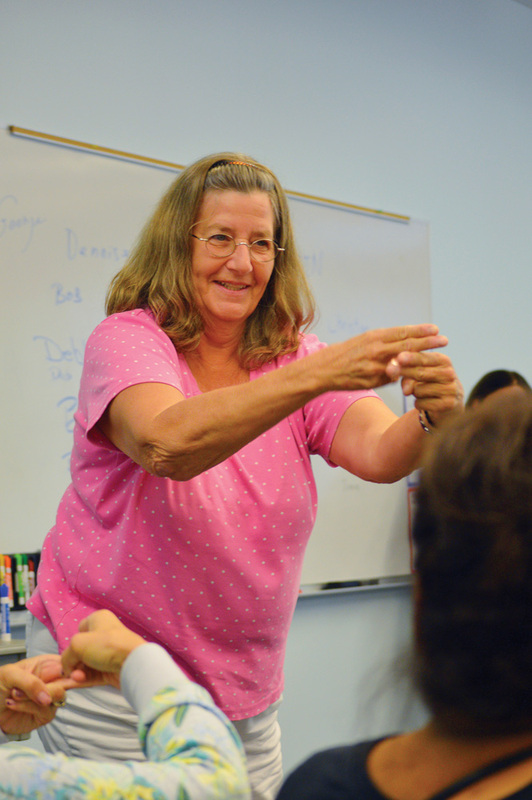 The Sept. 28 class covered names, numbers, the alphabet and basic vocabulary. The teachers kept things moving, inviting guests to stand up or sort themselves according to gender and clothing colors. 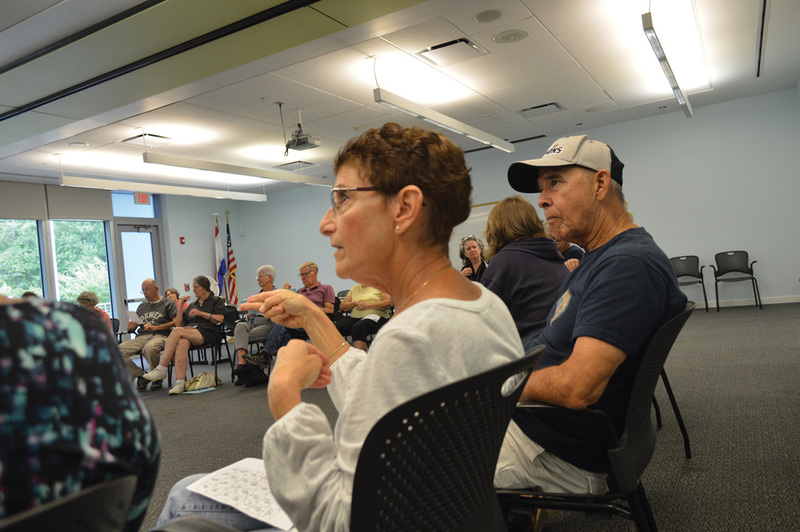 Beth Valente attended the class to better communicate with fellow players in a neighborhood bocce league, many of whom are deaf or hard-of-hearing. She joked that they have taught her “green” and “red” for the bocce ball colors, but she wanted to go a step further. Meanwhile, Erin Looper and Christian Heneghan came for an ASL refresher, having previously taken lessons to serve their customers at Drifting Grounds café in Dagsboro. 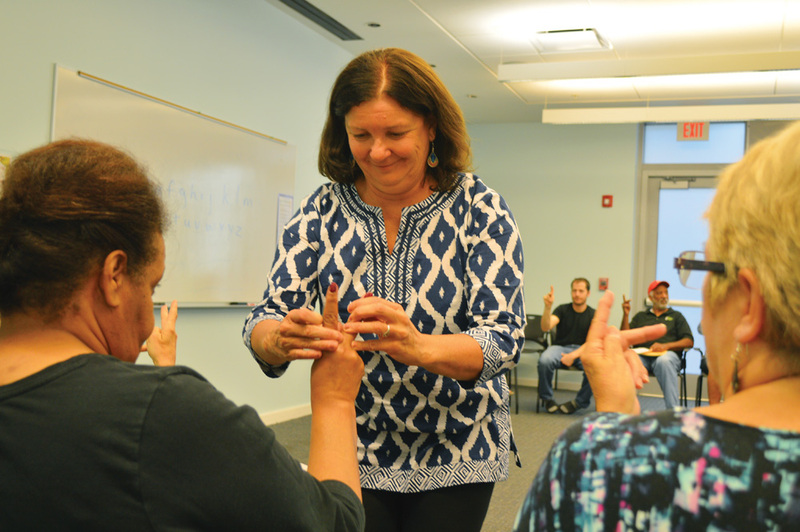 The class was the final event in the locally hosted events as part of 2018 International Week of the Deaf (IWDeaf), which is designed to bring awareness to Deaf culture and American Sign Language.